In a most unabashed mockery of the abysmal state of people in Tibet, China Central Television (CCTV) recently announced in its ‘Economic Survey list of China’s happiest cities’ that Lhasa bags this honour with highest claims. More surprisingly, this is not the first time that the city has been conferred the title, rather it has won this accolade for the fifth time in a row. This article explores whether the cited-indices in the survey can be construed as credible pointers of happiness in this far-western city of the PRC? Are the trails of self-immolations for no reason then? Or is the state deliberately trying to project a happy Tibet as counter-propaganda to the Tibetans? The assertions made in the survey are primarily based on the centre-led economic development in the Tibet Autonomous Region. Followed by Taiyuan, the capital of Shanxi province, Hefei, capital of Anhui province, Tianjin municipality, Changsha, capital of Hunan province, and Hohhot, capital of the Inner Mongolia autonomous region in the survey, Lhasa has been declared as the city which provides its citizens with the most amount of leisure time, constituted mostly by web-surfing and time for watching Television. This is not withstanding the fact that only 100, 000 households had been polled for the survey. Nor has the survey identified the nature of the programs that are most-watched (which could most probably be the ones that provide them a window to the outside world) which the local TRPs could easily determine. According to official figures, Lhasa’s GDP reached 22.21 billion Yuan (US$ 3.52 billion) in 2011, a year-on-year increase of 14.6 per cent and the rural residents’ average annual per-capita income reached 6,019 Yuan (US$ 958.53) in 2011, up by 20 per cent over 2010. The state stresses that it has created maximum opportunities for employment and better living standard through the policy of ‘three inclusions’ – free food, accommodation and free compulsory education for farmer’s and herder’s children. 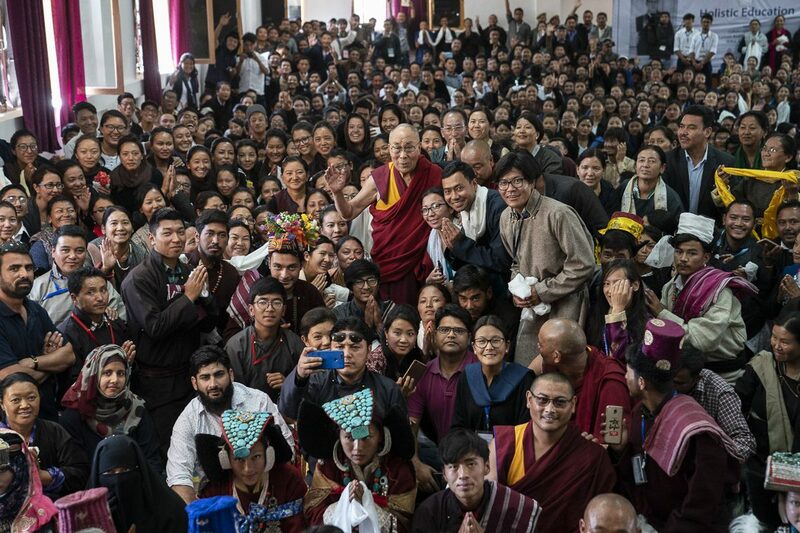 The average employment rate of Tibetan college students reached 84 per cent between 2006 and 2010. Furthermore, while housing prices have soared in most Chinese cities in recent years, the state has endeavoured to keep them relatively stable in Lhasa. However, the basic assumption of the state that economic progress and leisure time alone speak for the progress of people is fundamentally skewed. The oft-quoted debate on progress versus sustainability could easily make a case for the reverse. The conspicuous absence of cities from the Yangtze River Delta or Pearl River Delta regions is being attributed to the fact that though people in these regions may have higher incomes, but they have little or no leisure time for cultural and spiritual interests. This claim is also highly debatable and at the most superfluous. 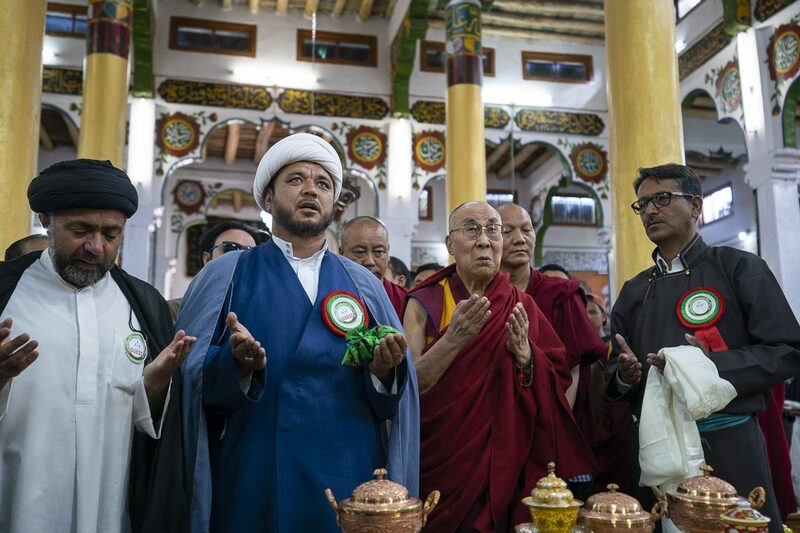 Contrary to the state’s claims, several reports (Radio Free Asia) point out that the declaration of Lhasa as the happiest city was simultaneously followed by a heavy security clampdown in several counties of Tibet, especially Driru County of Nagchu Prefecture in northern Tibet. The state has poured in huge amount of police forces, set up checkpoints with airport-style body scanners in busy downtown areas and closely scanned all Tibetans traversing from one region to another, giving the city and the neighbouring regions almost a prison-like appearance. The Chinese authorities have also reportedly detained more than 1,000 Tibetans in one county of Tibet Autonomous Region since March 2012 for their involvement in the revival, promotion or assertion of their Tibetan cultural identity. 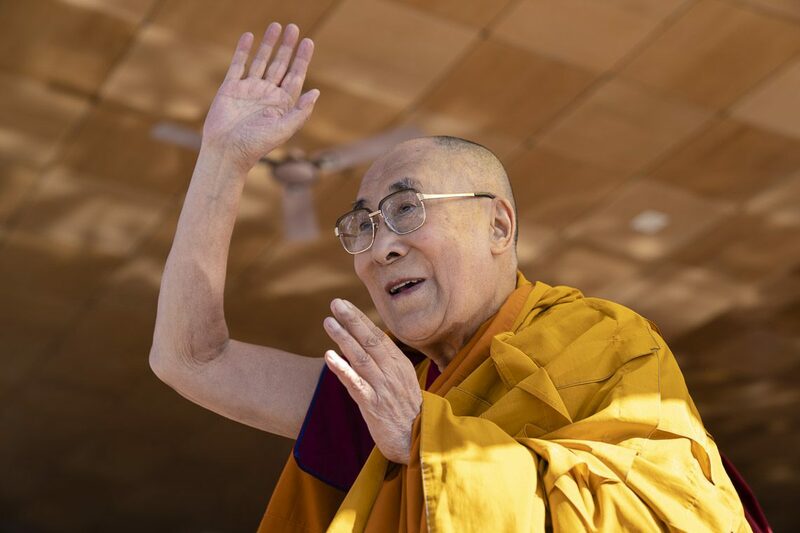 In other instances, Tibetans have been arrested for alleged rights information leaks to the US and even for singing songs which demonstrate the hardships faced by Tibetans under Chinese rule or even those showcasing reverence to the Dalai Lama. A recent protest by Tibetans on the reopening of the environmentally destructive mine in Markham County of Chamdo Prefecture also met severe repression by the authorities. In general also, the non-Tibetans Chinese are allowed free access to most places which reveals the Chinese state’s discriminative practices between Hans and the Tibetans. The ground reality certainly does not replicate the picture of prosperity and contentedness posited by the Chinese authorities. The survey is indubitably flawed on many accounts. First, there is no mention of categories like civil rights, rights to religious freedom and individual human rights which are essential for any kind of reconcilement between the state and the anti-state elements/sentiments in the region and that are constitutionally guaranteed but not implemented. 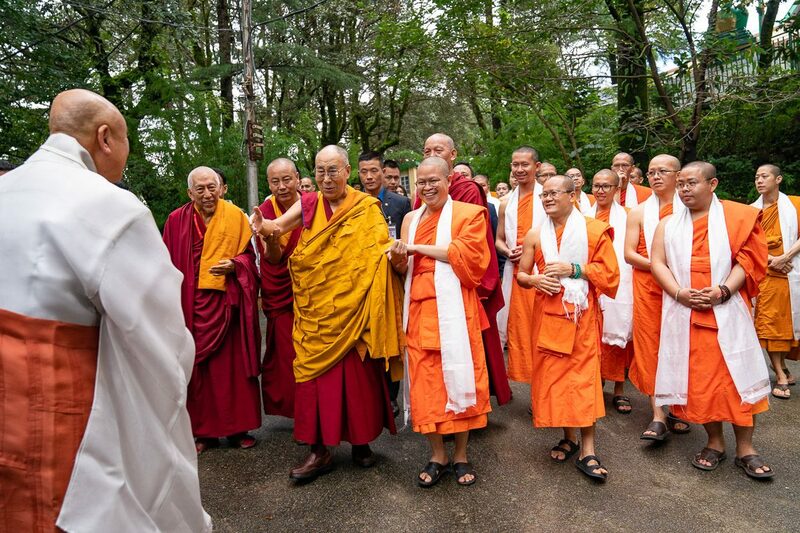 Second, there is neither a substantive change in perceptions among the Hans or the Tibetans, nor is there an attempt by the state to bring these two together. A people-to-people approach of constructive engagement is evidently missing as far as the efforts by the state are concerned. Moreover, the development projects initiated and implemented by the government have only done more to infuriate the locals even further instead of helping them to harmonise with the aims and visions of the centre. The undeterred activities of the central authorities only reinforce the traditional attitudes and local loyalties given the severe immediate impact of their policies. For instance, the recently conducted anti-terror exercise at the Lhasa Gongar airport and at the Lhasa station of the Qinghai-Tibet Railway caused much inconvenience to the local people. Keeping in mind the incessant tussle between the Tibetans and the state authorities, which often takes extreme forms like the resort to self-immolations, it would be in the best interests of the state to find lasting and effective solutions to the problems on the ground instead of faking an image of prosperity of its people in the autonomous regions.